While there is no mystery to solve or monster to unmask, it feels similar with a wolf stalking a Pilgrim and Native American boy, while a squirrel helps rescue them a couple of times. 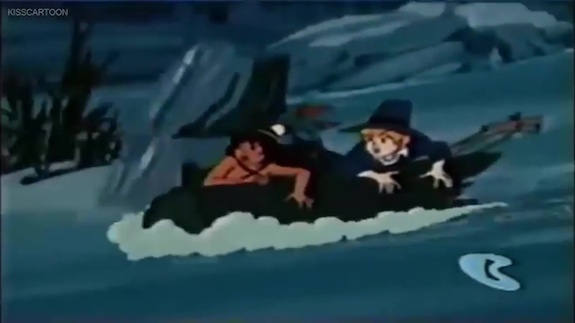 There’s the chase through the woods we’ve seen a hundred times in various Scooby episodes, there’s the last minute trap the wolf is lured into and there’s even some of the same music used! The story is told in flashback with a modern day squirrel father relating how their ancestor Jeremy Squirrel saved the very first Thanksgiving. 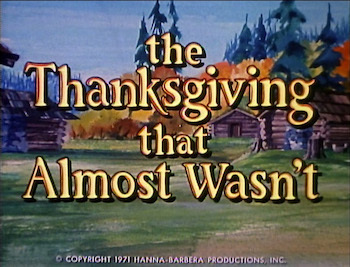 Smartly, the special gives a quick overview of the history of the Pilgrims coming to America, enduring the winter and learning to farm so that the story could hurry up to the drama surrounding that Thanksgiving, thus sparing the audience the tedium experienced in the twice as long Mouse on the Mayflower which droned on and on about the history like the a career teacher just putting her time in before her pension vested. 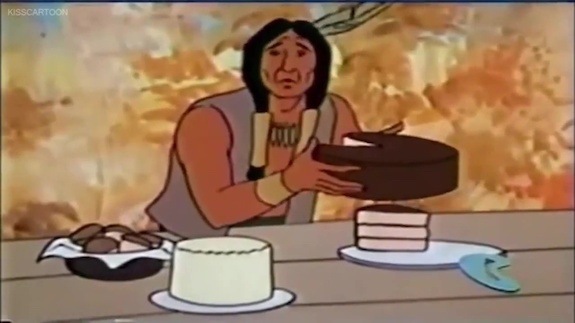 As good as any early 1970s Thanksgiving special has a right to be (let’s be honest, who really wants to sit around to watch a cartoon history lesson about people seeking religious freedom, getting sea sick and freezing to death? ), it will hit the right note with the generation that grew up with old Hanna-Barbera cartoons, though modern audiences used to wisecracking edgy cartoon animals may be be put off by its humorless treatment of its bland story and colorless characters.